Whether you already have a passion for underwater photography or you’re just starting out, a liveaboard dive trip can take your skills to the next level. 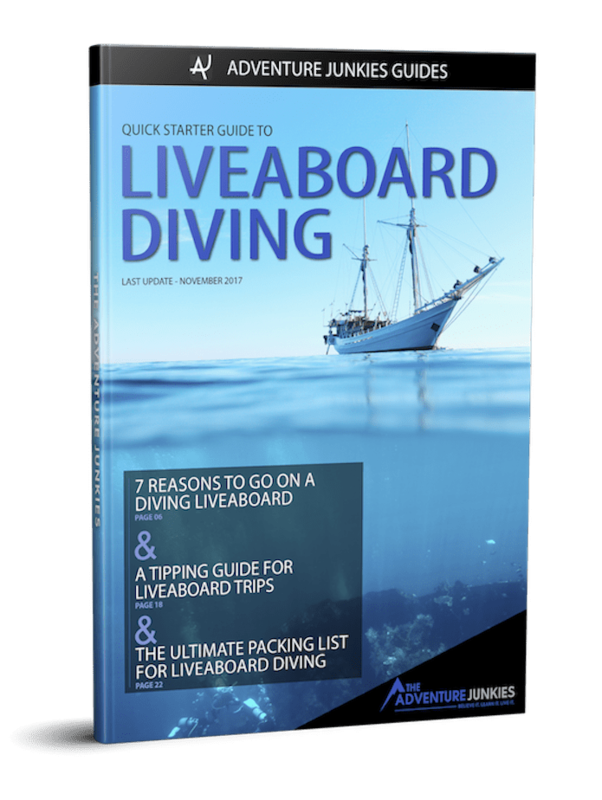 With three to five dives a day you’ll have plenty of time to practice. And, you up your chances for unique underwater encounters big time. With a little help from The Adventure Junkies, the best liveaboard destinations for underwater photographers are at your fingertips. What is the focus of your photography? 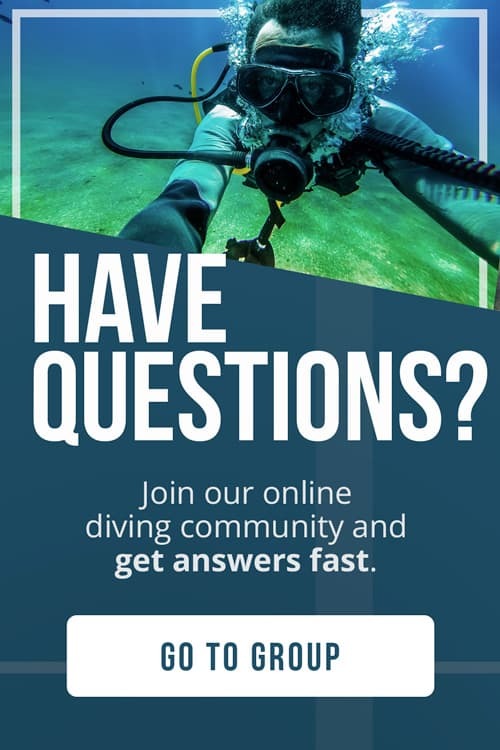 Consider what special camera equipment and dive training you may need before your trip and plan ahead. Use a packing list to make sure you have everything you need while on safari. And if possible, book with a photographer-friendly boat or photo themed itinerary. Photographers will find a colorful variety of subjects in the Sea of Cortez. Jacques Cousteau once described the region as the world’s aquarium, and the area lives up to its name. Best explored by liveaboard, these waters are brimming with photo opportunities. Large species like whales, dolphins, sea lions, and manta rays, are the most popular attraction for photographers. But, the Sea of Cortez also offers fascinating topography, and underwater formations, and more macro than you might expect. Blennies, nudibranchs, seahorses, and frogfish hide among the rocks. Area hot spots for photographing big animals include Cabo Pulmo National Park, Isla Espiritu Santo, and the Gordo Banks. For whale sharks, your best bet will be a visit to La Paz bay. Photographers should plan for mostly wide angle shots, with the occasional small find. The playful sea lions around Los Islotes love their reflections. 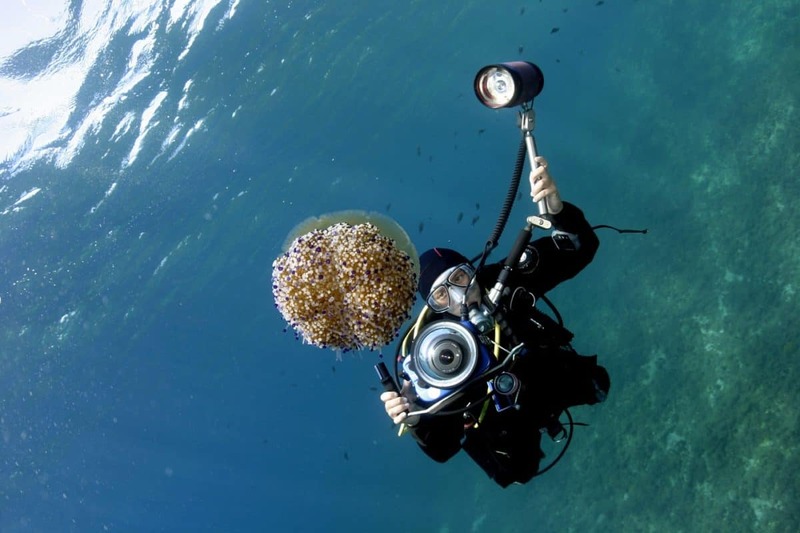 Bring a small hand mirror on your dive to get their attention, and score plenty of close-ups. The Maldives is a paradise of coral atolls draped in blue. Calm waters, excellent visibility, and plenty of marine life make these islands the most popular liveaboard destination in the Indian Ocean. Manta rays, whale sharks, sea turtles, and sharks, are the stars of the show in the Maldives. Photographers drift along with the current, past cleaning stations and pinnacles, waiting for the perfect shot. Be sure to bring your fisheye lens for great pictures of the big stuff. You won’t find much macro life in this region. Less experienced divers and photographers will find plenty to see underwater too. Shallow coral reefs in the Maldives are home to diverse hard and soft corals and reef fish. Thanks to great lighting and clear water, even compact camera users can take great pictures in this region. Many liveaboards in the Maldives prioritize luxury over other features. Serious photographers should be sure to check out each boat’s photo facilities ahead of time. Unlike any other place on earth, The Galápagos Islands are a stunning showcase of biodiversity. More than 20% of species found here exist nowhere else in the world. It’s easy to see why a liveaboard in the region tops so many diver’s bucket lists. Underwater Photography in the Galapagos is all about the big stuff. Some favorite finds include sharks, marine iguanas, penguins, sea lions, whales, manta rays, mola molas, and turtles. Other fascinating photo subjects include flightless cormorants and the truly bizarre batfish. The islands are photogenic above water too. Stark volcanic landscapes, unusual animals like the Galapagos giant tortoise, and Darwin’s history make shore excursions worthwhile. With so much to photograph around the islands, you’ll want at least a week-long voyage. For the ultimate experience, check out the 10-day itinerary aboard the Galapagos Master. 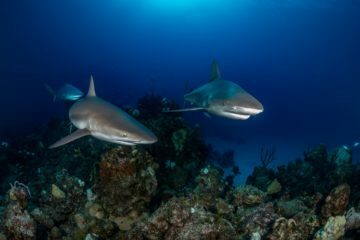 Healthy reefs, mangroves, and large populations of silky and reef sharks make Cuba an excellent liveaboard destination for divers in the Caribbean. The waters around the Jardines de la Reina and the Canarreos Archipelago are ideal for photography, with plenty of wildlife and great visibility. Cuba’s protected marine areas are found in remote waters best visited by liveaboard. It’s here that you’ll find thriving corals, sharks, reef fish, and turtles. Thrill-seeking photographers can even dive with saltwater crocodiles! While Cuba isn’t known for its small stuff, photographers with a keen eye will find slipper lobsters, seahorse, flamingo tongue snails, sea hares, and large colonies of secretary blennies. Night dives in this region are excellent, and feature encounters with nurse sharks, massive groupers, and prowling barracudas. Cuba is also known for its bioluminescence. If nature’s glow isn’t enough, some boats offer UV lighting for night dives. Cuba’s diving conditions are excellent and suited for divers of all skill levels. Photographers will find plenty of interesting subjects, great lighting, and nice visibility at depth. Reef and underwater landscape photographers will find no destination more impressive than Fiji. Known as the “soft coral capital of the world” these islands are home to some of the planet’s most colorful reefs. Shark dives add to the excitement, promising close encounters with up to 8 species. Whether you have an eye for detail or prefer to focus on the big picture, Fiji’s dive sites present fascinating photo opportunities. Liveaboards explore a variety of environments, from massive pinnacles and deep walls to sheltered lagoons and delicate coral gardens. With this variety in mind, photographers should plan for wide angle, macro, and video if possible. Namena, Bligh Waters, and Beqa Lagoon are the region’s most famous sites and highlights on dive safaris. Before booking, be sure to find out what areas your voyage will cover and plan accordingly. Fiji has a reputation for luxury liveaboards, and photographers have plenty of perks to choose from. The Nai’a and Fiji Siren host special photo safari itineraries hosted by experts. The Fiji Aggressor offers camera rental equipment and a photo pro to assist you. Komodo National Park is a paradise for photographers both above and below water. Divers can expect to encounter sharks, mantas, hundreds of species of reef fish, turtles, and the legendary Komodo dragons. Many boats operate in this region, so be sure to shop around for a photo-friendly option. With a variety of diving environments for backdrops, photographers should plan to bring the full arsenal. Shallow, colorful reefs reveal a wealth of macro life like pygmy seahorses and nudibranchs. Fast-paced drift dives over sea mounts and pinnacles reveal massive cleaning stations circled by sharks. 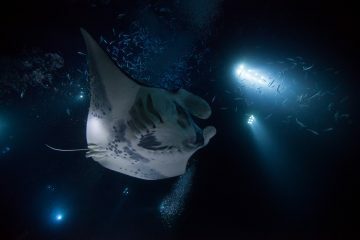 And, open ocean dives offer an opportunity to watch graceful manta rays feed. Itineraries in Komodo feature everything from gourmet meals and luxury suites to dressed-down two-week long adventures to the park’s most remote sites. Keep your trip priorities in mind when booking. Komodo has a well-deserved reputation for powerful currents. Divers in this region should carry an advanced certification and have experience with drift diving. Liveaboard itineraries in the Visayas Islands feature some of the best macro and muck diving on planet earth, encounters with the shy and photogenic thresher shark, and everything between. Serious macro photographers should choose voyages that stop around Anilao, Dauin, and Dumaguete. These areas are known for their black sand backdrops and hard to spot critters. Mandarinfish, rhinopias, octopus, dragonets, and frogfish are favorite finds. The dive sites around Cebu and Malapascua are good for wide angle photography. Cleaning stations invite mighty mantas and threshers, and plenty of other large pelagics pass through. Healthy coral gardens set the stage for great underwater landscape photography as well. The Visayas Islands are a large region, and you’ll see more of it via liveaboard. But, different voyages focus on different areas. Choose an itinerary that best suits your photo goals. The Red Sea is a massive region with limitless diving potential, but you have to shop around. Dedicated photographers who are willing to make do with basic accommodations can book the underwater photo safari of a lifetime at a budget rate. Whale sharks, shipwrecks, vibrant reefs, plunging walls, and large pelagic encounters are the area’s best photo ops. Itineraries around Sharm El Sheikh and Ras Mohammad National Park feature picturesque reefs and walls, and chance encounters with hammerheads at Tiran. Further south, the focus shifts to shipwrecks, and the spectacular coral gardens at the Brothers Islands. Sudan is less dived than Egypt, and it shows. Photographers can expect more bio mass and a better chance of encountering sharks and mantas. And, Sudan is one of the most affordable places in the world to book an extended itinerary. 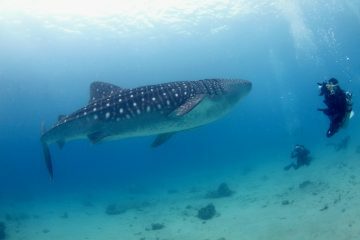 In the far south of the Red Sea Djibouti hosts whale shark encounters with excellent visibility. No matter what part of the Red Sea you are diving in, plan to shoot wide angle. The region is also suitable for new photographers and compact camera users. Raja Ampat and the Banda Sea are some of the planet’s most exciting liveaboard diving destinations. These jewels of the Coral Triangle are home to incredible biodiversity. Photographers should come prepared for amazing wrecks, reefs, macro, and plenty of big fish. With hundreds of islands in total, divers can expect a variety of underwater environments throughout the region. WWII wrecks are a photographer’s favorite, as are muck and sand bottoms. Hundreds of coral species grow in this area, perfect for landscape photography. Fast-paced drift dives past deep walls, channels, and pinnacles reveal a variety of large pelagics. Whale sharks and mantas patiently wait their turn at the cleaning stations and feed on plankton in open water. Cool macro finds include epaulette and wobbegong sharks, pygmy seahorses, and nudibranchs. For the ultimate Raja Ampat photo safari, check out this workshop from Underwater Photography Guide. The freezing waters of Antarctica are home to some of the strangest and seldom encountered species on the planet. Photographers will find super sized invertebrates, leopard seals, orcas, and penguins throughout the region. Surprisingly, there’s plenty of macro life too. The only way to explore earth’s frozen south is with an Antartic cruise. Itineraries depart from Tierra del Fuego, Argentina and tour the Falkland, Shetland, or South Georgia Islands before reaching the Antarctic. Conditions only permit 1 to 2 dives a day, but photographers will find plenty to see and do above water too. The most stunning Antarctic photography comes from beneath the ice. Training and certification for ice diving make this activity a bit exclusive, and it’s not for the faint of heart. But, the pictures make it all worthwhile. Diving in the Antarctic requires extensive experience and dry suit certification. It takes a bit of work to get there, and there are no budget options. But, diving in this region is worth it. Each voyage guarantees once in a lifetime encounters with wildlife, and stunning photography above and below water.